When you're going hard at the gym, running mile after mile on the treadmill, the last thing you want to be reminded of is how much you could really do with a big ol' slice of pepperoni passion at that very moment, right? Well, then Adidas' latest pizza trainer is not for you. 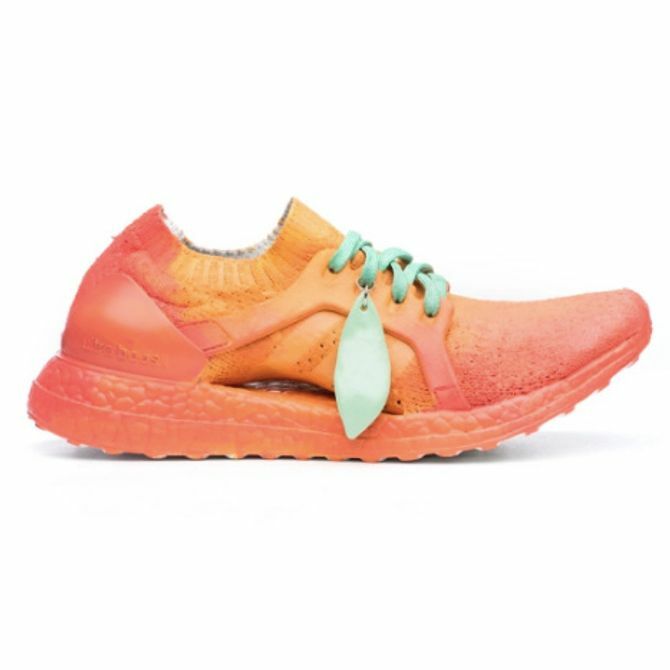 The running shoe is a collaboration between Ultraboost x Refinery29, and it's just one in a collection of 50 crazy new styles from Adidas, all designed by a group of 10 female artists. These pizza kicks and all others in the collection were specifically designed for women, by women. 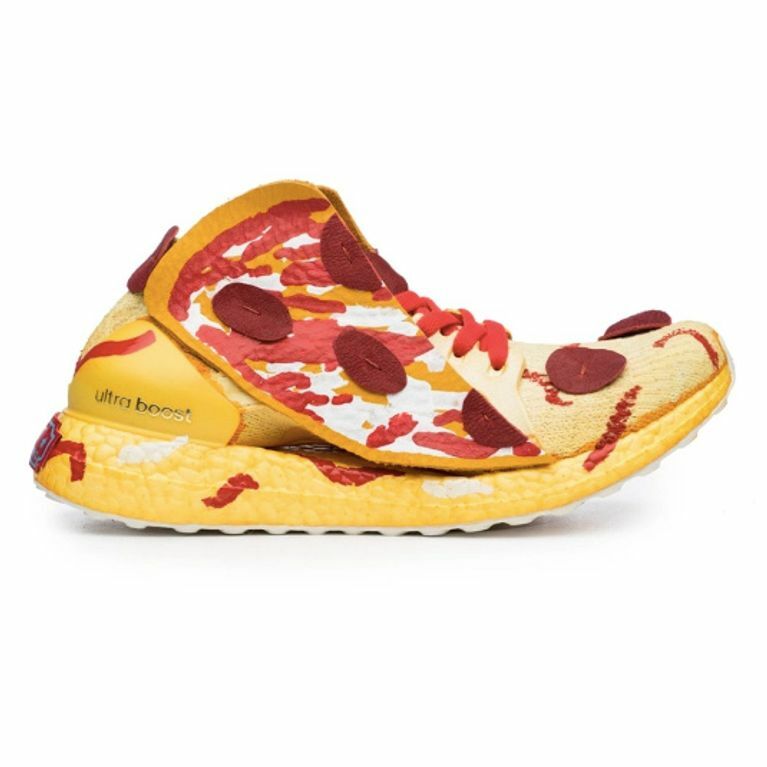 The pizza shoe in particular being designed by artist Jen Mussari and all proceeds go to Women Win, an organisation committed to getting more women into sport. Being an American collab, each pair of trainers represents one of the 50 states - this cheesy little pepperoni number represents the home of the pizza, New Jersey - but it could be argued that the best pizza pie around is found in Chicago, no? This is not the only food-themed shoe from the collection: Georgia has the peach shoe, Wisconsin has the cheese shoe (complete with cracker hanging from the laces), Maine has the lobster shoe, Tennessee the barbecue shoe, and South Carolina, of course, the shrimp and grits shoe. Whilst the pizza trainer might be distracting to look at, perhaps this is the sartorial equivalent of a dangling carrot - keep your head down, eyes on the prize, and after you've completed your run treat yourself to a Domino's Texas Barbecue. Sounds like a pretty good compromise to me.